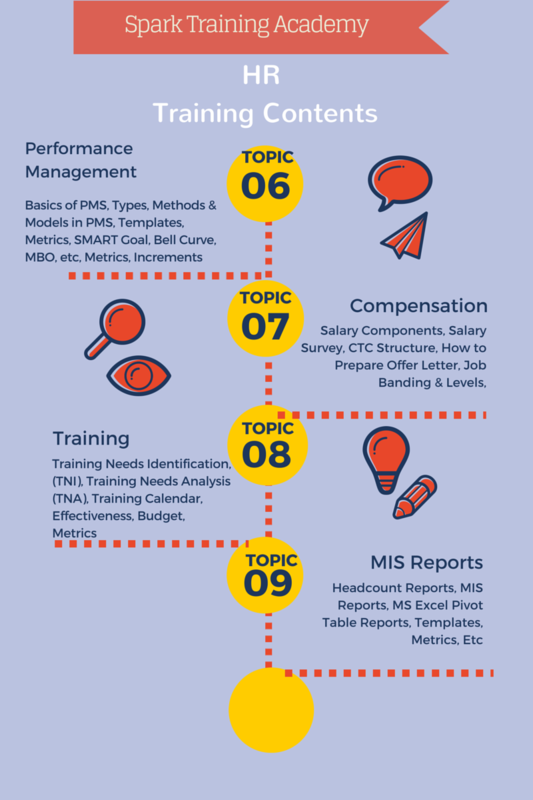 Spark Training Academy a leading HR training academy is currently offering HR Training Courses in Cochin. Our HR training in Kochi is a comprehensive HR course at Cochin which covers all aspects of the human resources function like Manpower Planning, Recruitment, Employeee Relations, Payroll, Leave & Attendance Management, Performance Management, Compensation & Benefits, Statutory & Labour Laws, etc. HR is the most interesting job function in an organization as you will be working directly with the work force. 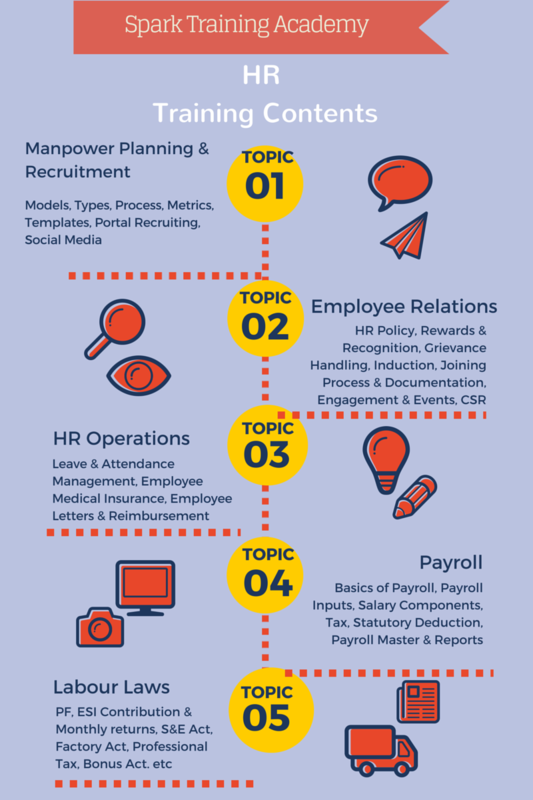 Gone are the days where HR is seen only as a support function by the management, but with changing times and workforce stlyes, HR is being seen as a strategic function by the leadership of the organizations. Unlike other function like IT, Finance, Production, where it requires an individual to have lot of technical and technological skills, HR requires basic common sense and communication skills for entry level HR openings. Compared to other functions, HR is less stressful and would ideally suit individuals who do not want demanding job responsibilities. Why HR Training Course in Cochin at Spark? The trainings offered by Spark examine the various functions of HRM in organizations including responsibilities and objectives, the employment cycle, job analysis, recruitment and selection, and performance appraisal as well as employee relations, and managing change within the workplace. 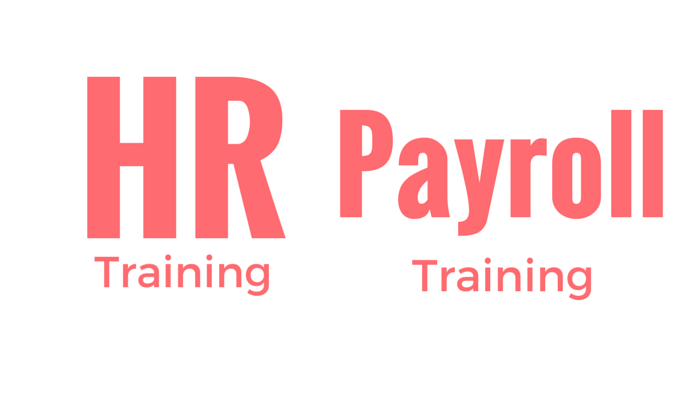 Who can attend the HR Training in Cochin at Spark?